Some writers whose political insensitivities and bare naiveté have been mistaken for objective analysis are still defending the indefensible atrocities of the Rajapaksa era. Their insensitivities have taken them from being mere Rajapaksa supporters to the fringe politics of post-Independent Sri Lanka. Ceylon, as it was called then, has undergone unrecognizable changes; she has embraced nihilist aspects of political evolution; ethnic violence has erupted multiple times and led to a thirty-year old war that ended in the decimation of a terrorist army that was never seen in Ceylon in the last half of the millennium. That war has enlarged the gulf between the two peoples. Tamils are being perceived as the ‘enemy’ of the glorious past of Sinhalese Buddhists, as enunciated in the Great Chronicle (Mahawansa). The peak of this evolutionary thought, as promulgated by the modern day patriots of the land, the race and the faith, spearheaded by an insane but utterly focused movement led by saffron-garbed political gangsters, was in the Rajapaksa era: from 2005 to 2104. During this maddeningly chaotic period, these pundits and Chinthanaya demagogues would most conveniently forget to write about or even make a cursory mention on the alleged exchange of huge amounts of cash between the candidate Rajapaksa and Prabhakaran, the leader of the Liberation Tigers of Tamil Elam (LTTE). Prabhakaran got the cash and Mahinda Rajapaksa got the Tamils in the North to stay at their homes on the D-day, Presidential Election day, thereby preventing an assured bloc of votes for Ranil Wickremesinghe, the UNP candidate that would have been sufficient to overwhelm the votes received by Mahinda in 2005. Yet those who bartered the country’s conscience for cash then clothed themselves with a glorious-looking attire of patriotism, while those soldiers of the ilk of General Sarath Fonseka were disgraced as traitors. This grave injustice caused to the sublime emotions of a nation struggling to rise from the ashes of a terrorist war is unpardonable. Desecration of man’s strongly held belief in himself and his family was accepted by the henchmen and women of the ruling cabal as a patriotic act for the wild emotions raised and inflamed by empty rhetoric and resounding slogans overtook the wiser senses of man. The decay that followed in our cultural values and social measures began showing their external manifestations, not gradually but rather rapidly and uncontrollably. At the base of all these processes of rotting away and social oozing was a politician. Politician controlled not only the country’s coffers; he controlled the hearts and minds of the general population; thereby they controlled the mindset of a great number of people, in fact a majority of Sinhalese Buddhists. The so-called pundits and pseudo intellectuals of the Chinthanaya-trash were at the very core of this repugnant movement. Construction of beautiful slogans that would easily mesmerize the gullible and plainly vacant minds of a majority which has already been hoodwinked by wickedly attired thugs misrepresenting the Order of Maha Sanga, the clergy of Buddhist preaching, gave way for insightful thinking and wise decision making. Sharpening the television portraits to misrepresent the vile and inscrutably dangerous political philosophy, which was already bordering on Nazism and Stalinism, became a priority of highest order for those who occupied the uppermost seats of power. The resultant mindset of the Rajapaksa cabal that became more and more hallucinated and intoxicated with power produced the most undemocratic constitutional amendment thus far. The Eighteenth Amendment to our already sullied Constitution not only assured the Rajapaksas a mirage of ‘permanent power’, it also carried a latent message to the hereunto placid population and civil organizations a weapon to use and use repeatedly to prove that the path the Rajapaksas have chosen is not good for the country. In other words, the Eighteenth Amendment carried within itself a double edged knife, one edge for the Rajapaksas to continue their supremacy forever and the other as an eye-opener for the docile public that the intentions of the cabal are not so voter-friendly. In order to bury the ugly Sri Lankan that dwelled within the Rajapaksa ruling cabal and their numerous castrations of human rights, decent life and honest livelihoods of the average man and woman, holding on to power was a prerequisite. This same argument was made in 1988 when J R Jayewardene, the very creator of the Presidential constitution and then its government, was getting ready to hand over the reins of power to the next one who would be elected. At that time J R Jayewardene had a two thirds majority in the House of Parliament. The passage of an amendment on lines of the Eighteenth Amendment would have been reasonably easy. Yet J R decided otherwise. Wiser minds prevailed. When the siblings started tasting the sweetness of power, when they began reaping the harvests of hard working men and women in Sri Lanka, the alluring enigma of power took control of these siblings. They let themselves go. And the subject people suffered. Resulting daylight murder of Lasantha Wickrematunge, assault on other journalists, killing of Tamil journalists in Jaffna, intimidation and abduction of Prageeth Ekneligoda, Rathupaswela shooting and obliteration of those who took part in the infamous prison riots were all a direct and unmistakable results of the mindset that controlled the country after the passage of the Eighteenth Amendment. The Presidential Elections held in 2015 changed all that, hopefully forever. Revocation of the Eighteenth Amendment and replacing it with the Nineteenth Amendment, in combination with many a legal and judicial investigation into the many misdeeds of the former first family gave them jitters. The provision of proportional representation (PR system) has ensured that it is practically impossible for any single party to gain a two thirds majority in Parliament. One party might be able to command a two thirds majority after ensuring the support of some other fringe parties to form a temporary two thirds for a specific purpose, but such temporary collusions are hardly worthy of mention in the context of a bitterly fought out election campaign which would result in a hung-parliament. Consequently, seeing Mahinda Rajapaksa again on the throne of Presidency is a non-event. This series of events and their developments have resulted in a wild and misguided of hunt for the seat of power in 2020. The former Defense Secretary, a sibling of Mahinda who was falsely named as the ‘architect’ of the war victory in 2009 seems to be engaged in a furious campaign for 2020 Presidential Elections. Claims of the then Defense Secretary as the ‘architect’ of the war victory is a tremendous disservice and insult to some of the best military minds and brave soldiers who paid the ultimate price with their lives for the nation’s sake. Launching a campaign on a totally false and obnoxious base is not going to be successful. That campaign’s main star will be defined in terms of these untruths and falsifications. In the midst of all this, the other brother who was supposed to be in charge of the country’s economy is said to be pretty angry that a person who ran away from the country when the worst part of the war against the Tamil militants was on is being portrayed as the next Presidential candidate. On top of that, it is also rumored that the former first lady too is vehemently opposed to the former Defense Secretary as their family-candidate. Mahinda has an impending implosion in his midst. In the grand mosaic of political development, each piece seems to be in the wrong place making the mosaic look more like a jigsaw puzzle rather than an artistic creation. Mahinda Rajapaksa has a choice. He also has an obligation to unite the forces that displaced him from power in 2015. He has lost control and leadership of his original political party, Sri Lanka Freedom Party (SLFP). 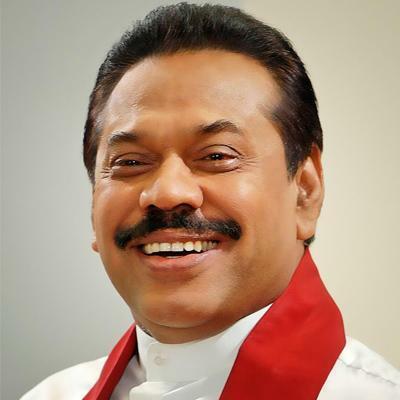 Yet an overwhelming majority, close to 90%, of that party is now with him under a new name, Sri Lanka Podujana Peramuna (SLPP). However, erosion of even 5% of votes from the SLPP would mean certain defeat at a Presidential Election. Because an overwhelming minority vote consisting of Tamils and Muslim, is still against the Rajapaksas. The implosion is coming. Will Sri Lanka Elect A Moral Leader In 2020? Champa: Thanks for giving at least a little bit of your energy of thinking to what I stated. As for Mahinda, he is a man of “LOST OPPORTUNITY” got in 2009. What happened to him then? He “Got Caught” into a TRAP and SPIDER WEB laid out by the most corrupted, criminal minded opportunists of both laity , clergy and family bandits. Now there is no ESCAPE, because he is entangled in that vicious “Spider Web” and those venomous “SPIDERS” will never let him off. Even he brings a “Maker” from outside, that too will not make him to escape, because the “SPIDERS” who have caught him are more venomous and powerful. I am sure he knows it better than you and me. There is no other option, other than to be where he is today..
And the other thing is, I don’t think you should worry about the Presidential candidates too much, as I believe that their will be better options than the people/politicians who already claimed to be Presidential hopefuls. There are one or two independent candidates already. Another one. I believe it will keep your hopes high for a better Sri Lanka, as it did to me. I saw a video where MR says he doesn’t drink. I was so surprised. I thought “he is a jolly good f-e-l-l-o-w.” (I am joking) According to people’s opinion, I thought he is a boozer. May be he has stopped. OMG! I never thought this news would make me this happy. (I can’t stand drunkards.) I watched the video 3 times just to hear it which is extremely rare, as I repeatedly watch only Wimal’s videos. Anyways, what I tried to say Douglas is, you must place your faith in Mahinda. Alcoholism is a serious problem in Sri Lanka as it leads to many crimes starting from domestic violence to molestation to murders. I have a suggestion for him to make Sri Lanka a children friendly, women friendly country. It won’t happen overnight but it will be a meaningful, good start. The joke of the century i dont drink. Not only he drinks hez a bloody A class woman..er. Mahinda was defeated by slinging mud at him and assassinating his character. But he never stoop to that level. There are lot of stories about Maithree and Ranil too. If he is a A class woman..er who is Ranil? An A class man..er? Go fly a kite man. Stop character assassinations. It is below the belt. Champa: I do not wish to continue in a dialog with you on this subject. My attempt was to tell you to be “Factual” and “Independent” without establishing “Faith” that which makes you a “SLAVE”. 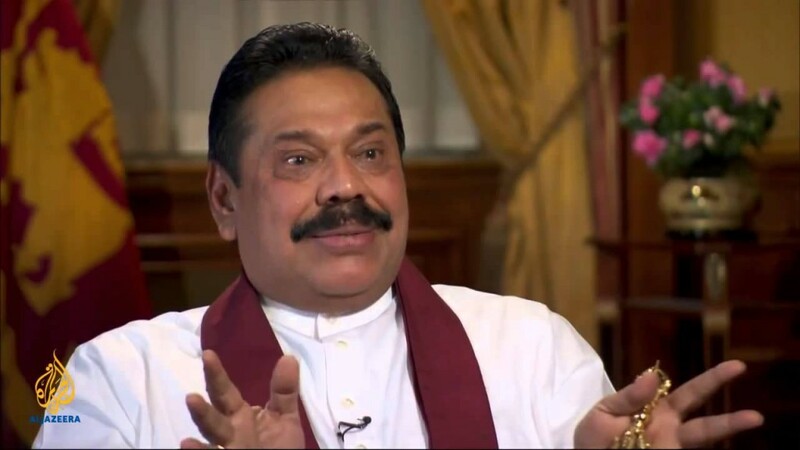 You want me to have “Faith” in Mahinda. The least I expected you to tell me. These days, there is Presidential Commission inquiry going into the affairs of SriLankan chaired by Mahinda’s Brother-in-Law and Mihin Air by his own brother Gotabhaya, Please go through the proceedings and see for yourself what “CRIMES” these Rajapakse Clan has done to the Banking Sector that belongs to the People. You will be amazed as to how they (Rajapakses) have handled the affairs of these National Carriers and plundered the Banks, Treasury and the Central Bank. The sum total of that “CRIME”, I would say, goes beyond the “Bond Scam” of the Yahapalanaya. “Rajapakse Clan” has become a “TRIBE” and their only struggle is to “SCUTTLE” the process of them being made responsible, answerable and accountable for the “CRIMES” committed. That is a FACT, TRUTH and I know it. Therefore that “FAITH” you speak has no space within me. Cheers.